Welcome to Anything’s “Paws”able Dog Training in Kalispell, Montana, home of the only Karen Pryor Academy Certified Training Partner in Montana, where I help to both shape manners and build relationships between you and your dog. Training is more than just obedience—it’s games, laughter and teamwork and building a great relationship with your dog. I can help you discover the opportunities possible with your canine family member, from a well-mannered family dog to AKC competitive obedience, rally-O, conformation or agility. I offer both private and group lessons for all ages, puppy thru senior dogs. 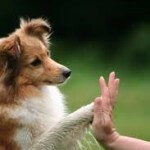 Learn how to interact with your dog so it thinks, “Wow, a human who finally understands me!” The group classes are always small so you get the individual attention you deserve. 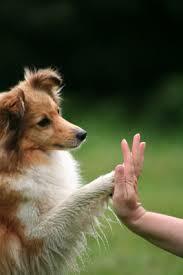 Encourage good dog manners, learn to play games with your dogs, teach it tricks or prepare for competition. After all, Anything’s “Paws”able. Please see the video on the ‘About Us’ page to understand why my being a Karen Pryor Certified Training Partner is so important and a little as to what it can mean for you and your dog. Then please click on the page ‘About Us’ and then follow to the pages ‘Meet the Trainer’ and ‘Training Philosophy’.